iPhone Skype Video Calling App Now Available! The guys at Skype have got a nice Christmas present for iPhone users – albeit a belated one. Skype just announced the availability of a new app for the iPhone that will allow users to do video calls – something that many people have been waiting for for a while now. There is FaceTime for the iPhone, yes, but that only works when both users are on Wi-Fi and not 3G. 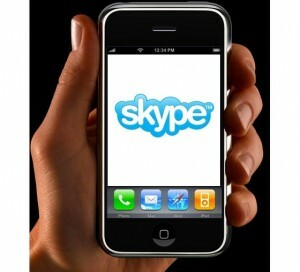 With this new Skype app, though, iPhone users do not need to connect to Wi-Fi and can use 3G to make video calls! While the app does have its limitations, such as video calls only working with Skype-to-Skype calls, it seems to be ahead of FaceTime in many different aspects. For one, the amount of data used by Skype video calls is much less than FaceTime. Skype does recommend that the app be used over Wi-Fi for “best results”. Of course, the other party will not be able to see you if you’re using the iPad, but with rumors about the iPad 2 coming soon, it shouldn’t be much of an issue. You ought to be aware that additional charges may – and probably will – apply when the app is used over 3G. Still, it should not be too bad since the data usage is not supposed to be that high. Then again, you might want to take it easy when you first use it so as to avoid unpleasant surprises when your phone bill arrives. For more information, visit the Skype Help Page. Skype is one of the best apps to have. Even if you don’t use it much, its nice to have Skype portable.